1. SEND ME AN EMAIL I would love to hear from you! 2. CONSULTATION Let's have a conversation! I would love to get to know you and your pet. Tell me all the things your pet does to make you smile. Let's talk about art you admire. 3. PAYMENT After initial consultation, a payment of 50% is due prior to sketching. Remaining 50% prior to shipping. 4. SKETCH 1-2 sketches will be provided for your approval. 5. PAINTING After the sketch is approved the fun begins! to be completely happy with your art! 6. 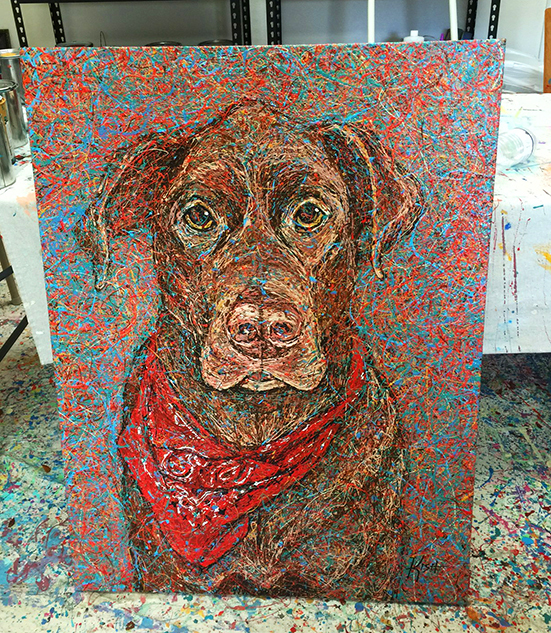 YOUR WORDS I paint your personal message to your pet on the back of the canvas to forever remain with the art. 8. FRAMING Framing is additional. I'm happy to make frame suggestions and send photos of options for you to review. 9. SHIPPING A biography and certificate of authenticity is packaged with the art. Shipping included in the United States.